Today's #NewMusicMonday selection is the song (and video) for 'Sea Creatures', the debut single by Irish singer-songwriter SOAK. It's the initial single off her equally astonishing debut album, Before We Forgot How to Dream, which came out at the beginning of the month on Rough Trade Records. 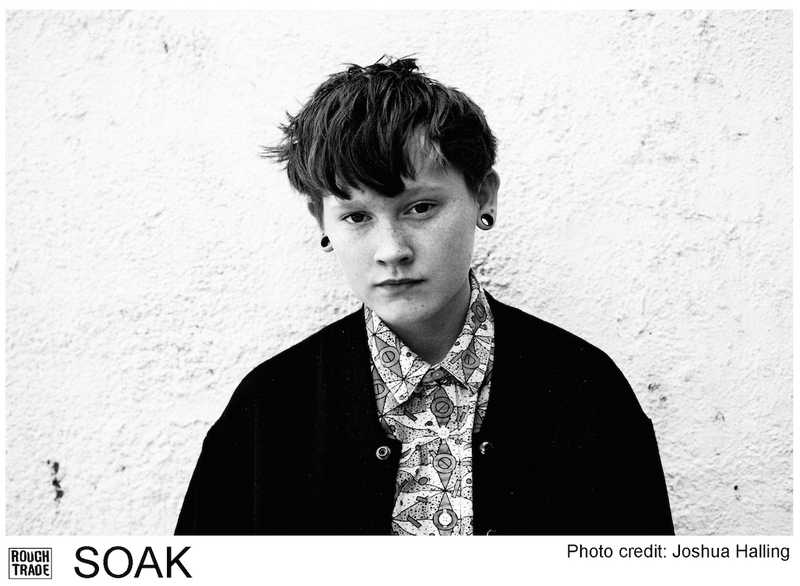 Who is SOAK, you might ask? She's 19 year-old Bridie Monds-Watson, a native of Derry, Northern Ireland. From being designated "One to Watch" by the Guardian in 2013 to making the BBC's Sound of 2015 list, SOAK is on a seemingly unstoppable upward trajectory to stardom. Her songs are deeply personal affairs, emotions laid bare, sounding like Lykke Li covering Sharon Van Etten with Belle and Sebastian backing her up. The good news is that you'll be experience to experience the phenomenon in person in a couple of weeks. Soak will be headlining a show at DC9 on July 12. Don't miss it.